Delhi Govt. is all set to convert India’s national capital into a connected, smart city. As per a recent high level meeting between different stake holders, it has been decided that New Delhi will get 100% WiFi coverage in the next 2 years. By February next year, around 700-1000 new WiFi spots would be set-up which will cover all DTC (Delhi Transport Corporation) buses, busy roads and important economic hubs of the city. AAP Govt. in Delhi had earlier formed a Delhi Dialogue Commission, which had created a special WiFi Task Force to understand the nuances of providing WiFi, which the party had earlier promised before elections. This task force constitutes of investor and entrepreneur Mahesh Murthy, Nikhil Pahwa and CIS policy director Pranesh Prakash as members. This special task force had arranged a ‘WiFi in Delhi Stakeholders Consultation Meet’ at Delhi Secretariat on April 23rd, 24th and 27th between 10.00 AM to 1.30 PM. Delhi Govt. had invited major hardware providers, software developers, OEMs (Original Equipment Manufacturers), ISPs, Telecom Firms and General Public for this meet. After coming to power, AAP had announced that instead of providing free WiFi, there would be 30 minutes free service after which users would be charged for accessing the network. However, there seem to be no announcement regarding the pricing model of this WiFi network, after the conclusion of this stakeholder’s meet yesterday. As per reports, close to 40 one-to-one discussions happened between various stakeholders during this meeting. The State Govt. released this official statement after the meeting concluded: “State government wants to give its every citizen the right to internet and Wi-Fi. Universal access to internet is transformative idea that can empower citizens and provide them a level playing field, irrespective of economic status, educational qualifications, gender, race or religion,”. Earlier, we had reported that Delhi Metro is also planning to roll out WiFi based on a public-private partnership model, which would be free and paid service. On a National Level, PM Modi has already announced the plan of spreading Internet connectivity as part of the mega Digital India vision. 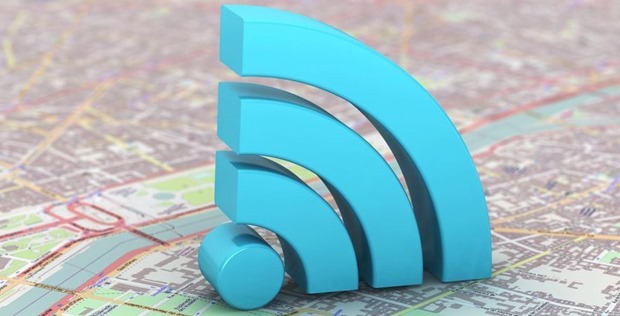 Recently, a budget of Rs 7000 crore was allocated to spread WiFi across 2500 cities in India. "Delhi To Get 100% WiFi Coverage in 24 Months, 700 WiFi Spots To Come Up In Next 10 Months", 5 out of 5 based on 1 ratings.